You are here: Home › Web › What is a good web design? Web design is something crucial for all businesses that are displaying their work on the web. An online website displays who you are as a brand and the neater your web design, the neater and more professional you look as a business. More than 90 percent of viewers look at a business web design and have an opinion about what the quality of that particular business may be. Fortune 500 companies have fast and responsive web designs and this is the main reason that there may be a divide from the rest. Having a quality web design that compares to a billion dollar business web design, will truly benefit your company and lead you to great paths. 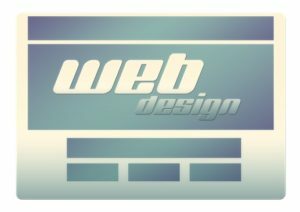 There are many factors that make up a good web design. Something to focus on would be non overlapping elements, coded with php, remove heavy imagery, invest in good photography, picking you colors wisely, and using your SEO tags correctly. Following the basics of this is just to start to lead you on an advancing path and eventually success for you brand online. Next Entry: Why Mindsaw Is A Very Popular Staten Island Website Design Service? Next Entry Why Mindsaw Is A Very Popular Staten Island Website Design Service?